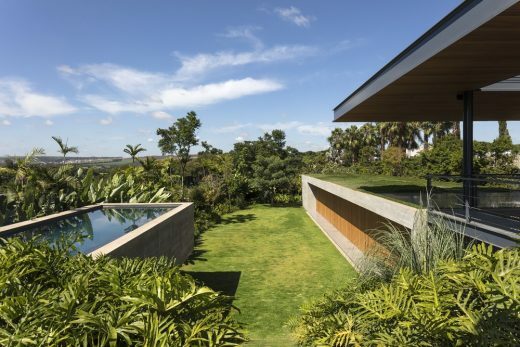 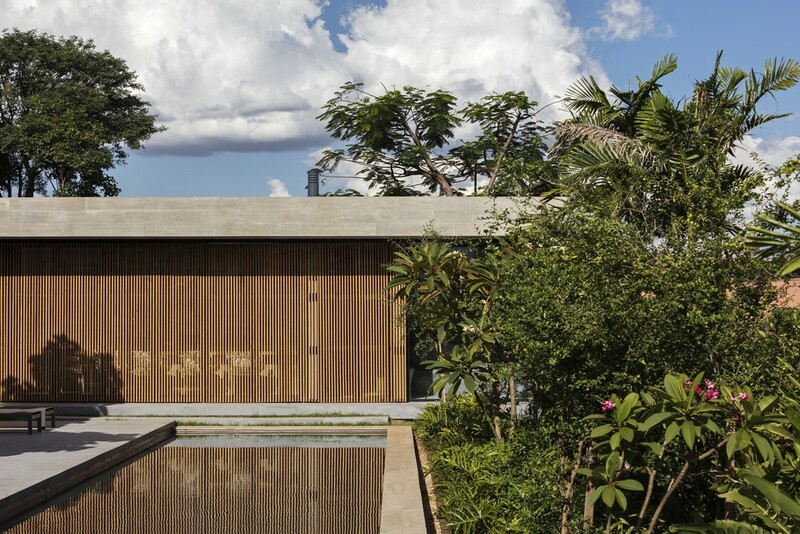 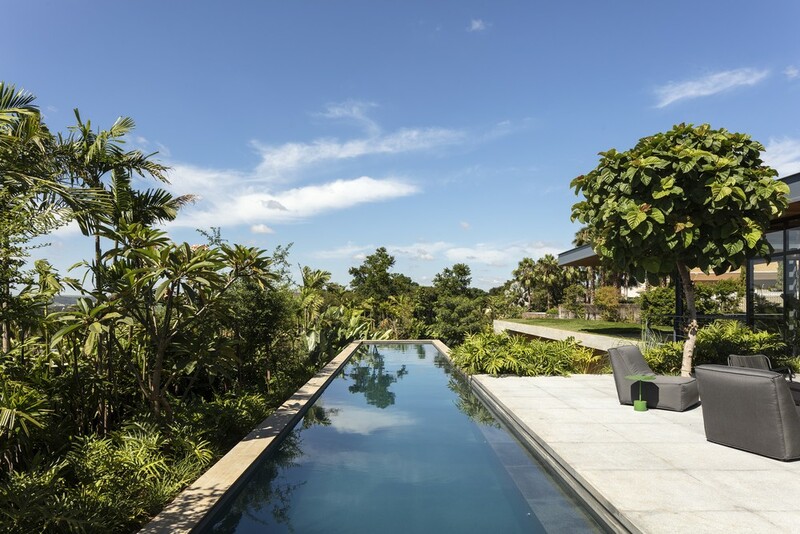 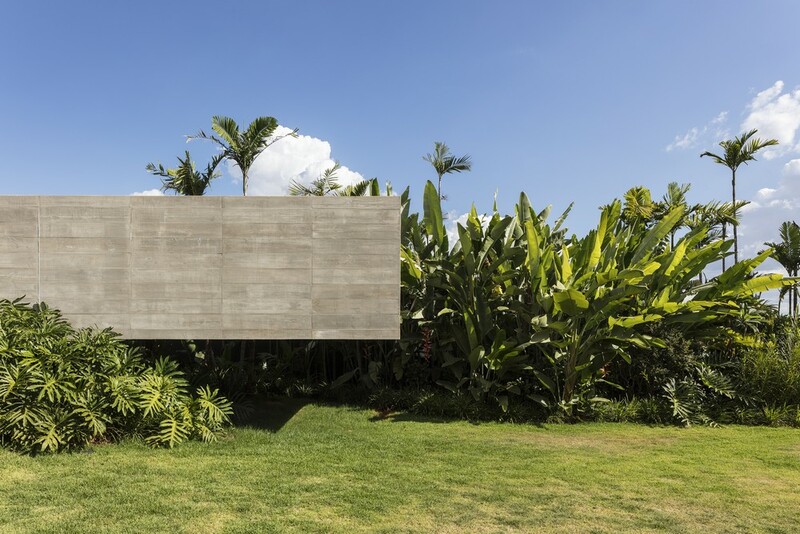 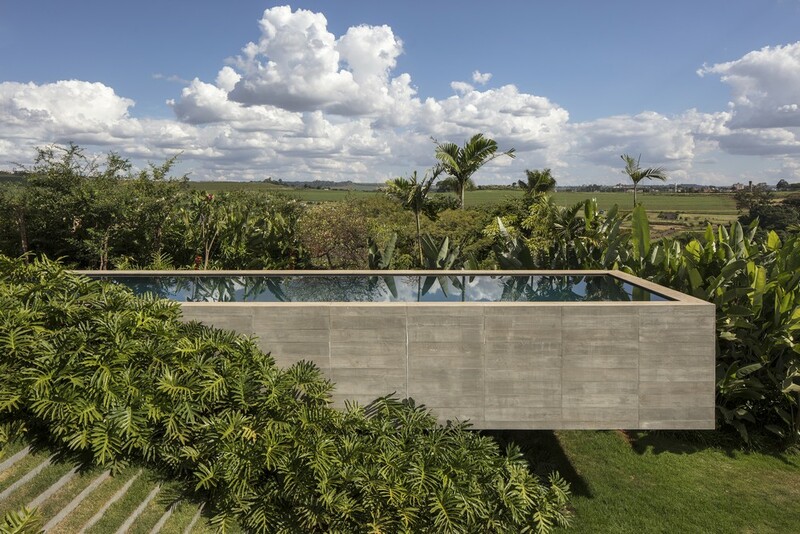 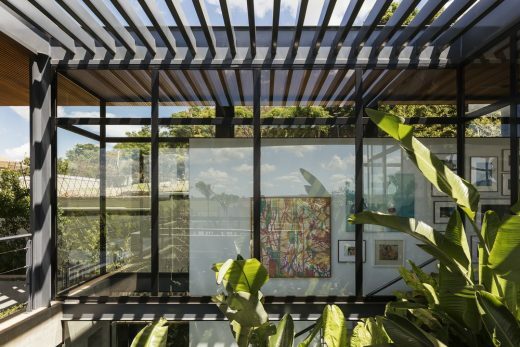 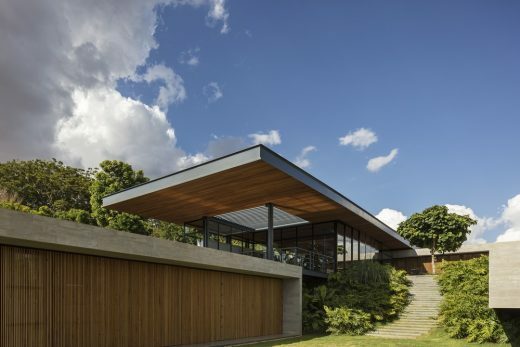 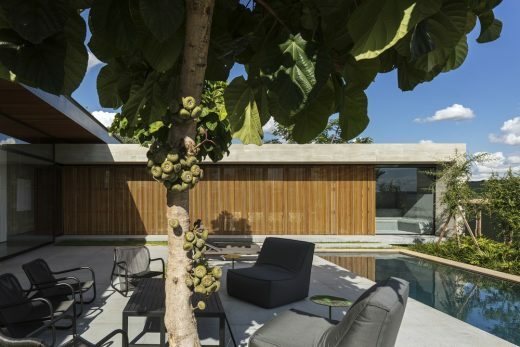 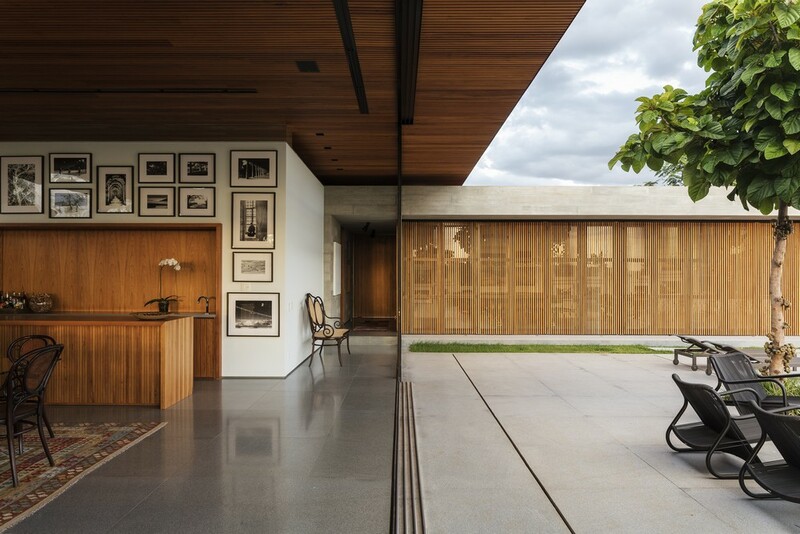 Designed to house a young couple and their two kids, Ribeirão Preto Residence is modern and fully nature-connected haven, located in São Paulo’s countryside city of Ribeirão Preto. 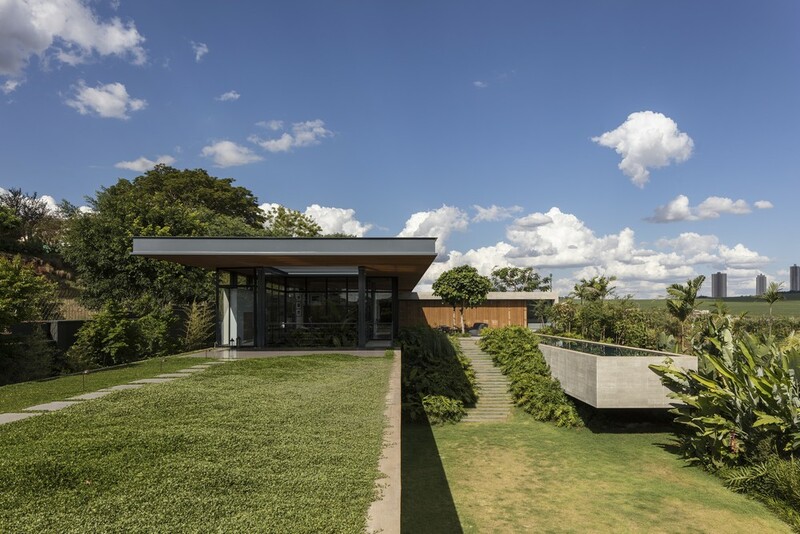 Perkins+Will’s studio in São Paulo took the challenge of building a one-story house –as requested by the clients – on an accentuated sloped terrain. The architects divided the program in two volumes, placing them in an L-shaped layout. 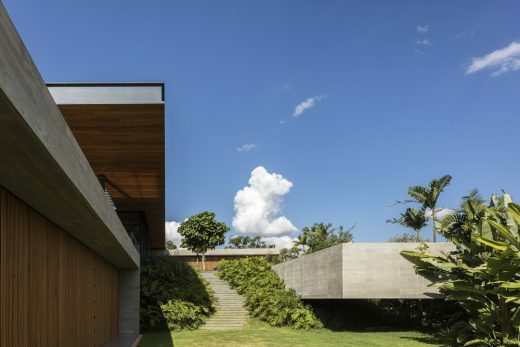 The first block holds the main entrance and is destined to the social areas. 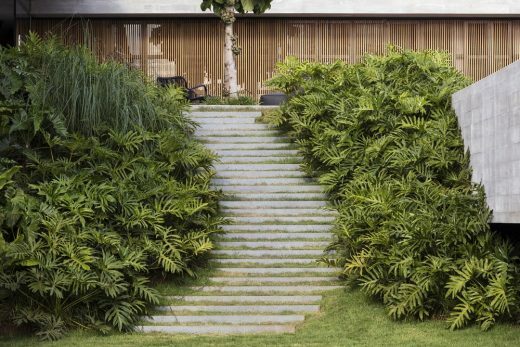 Placed in the highest portion of the terrain, the first volume forms a sort of shield to the second one – designated to the private uses and located at the lot’s lower section – creating an even more private ambiance. 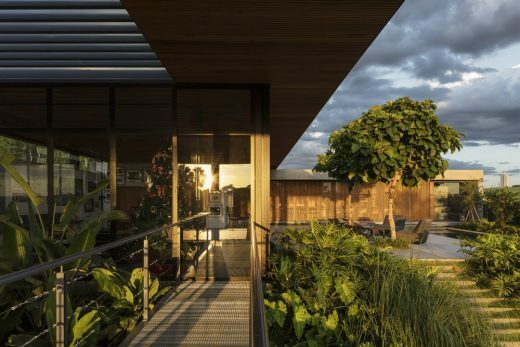 The block’s distribution also allows access to the gardens by every room in the house, providing a full nature-connected experience, and improved insulation and ventilation in all areas. 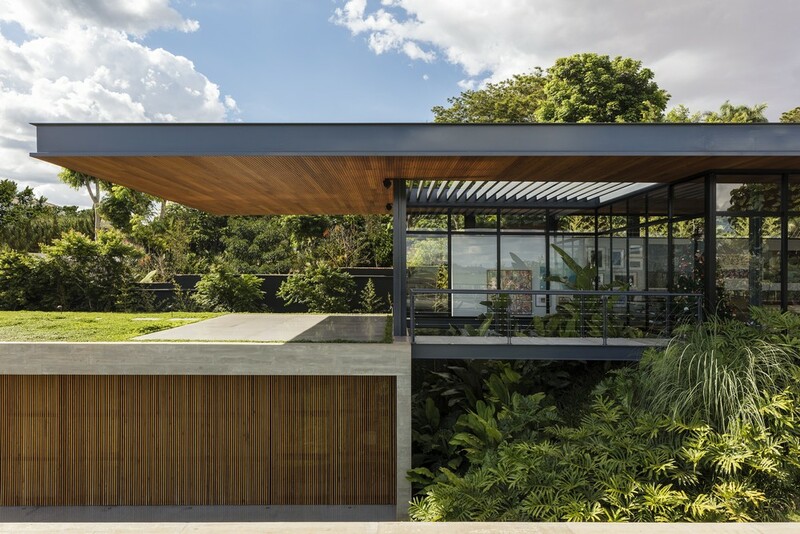 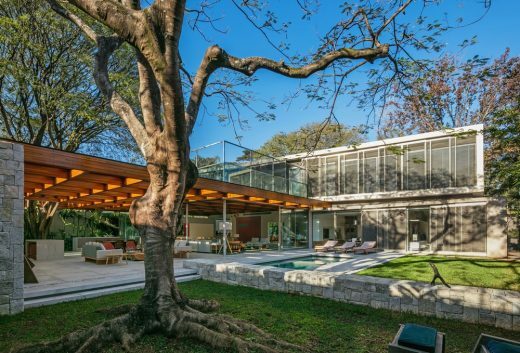 A combination of metallic structure, glass, concrete and wood built Ribeirão Preto Residence’s contemporary, yet welcoming design. 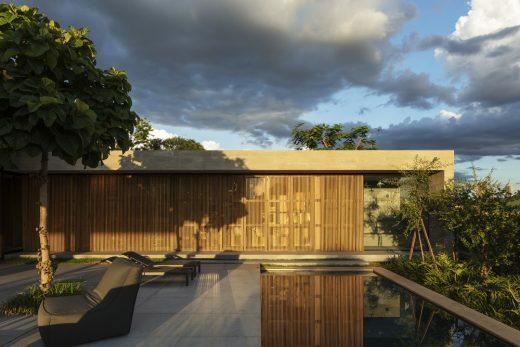 Transparency in the glass walls and the presence of a natural material such as wood increase the constant contact with nature. 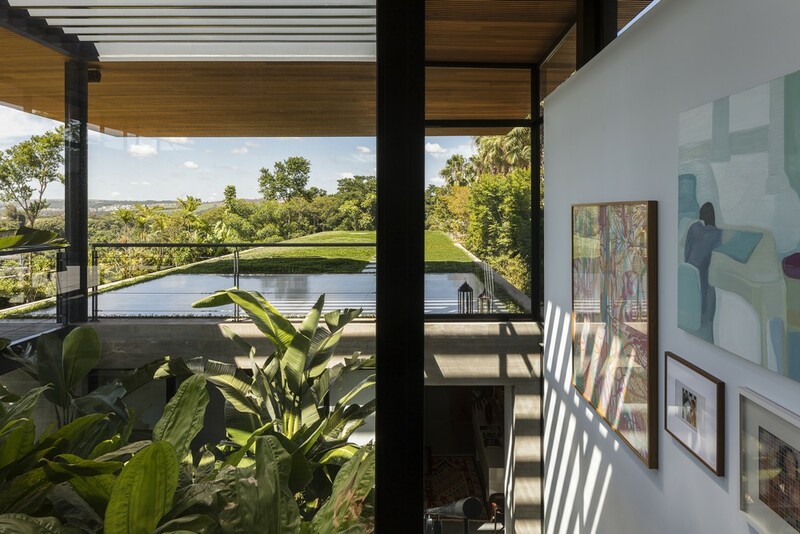 To complete the biophilic experience the designers added a green roof on top of the second volume. 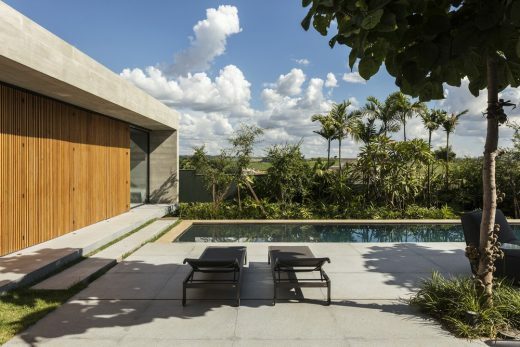 The detail also improves thermal, an important matter since the local weather is quite warm. Finally, an overhanging structure pool was placed over the declivity, completing the view from both volumes.